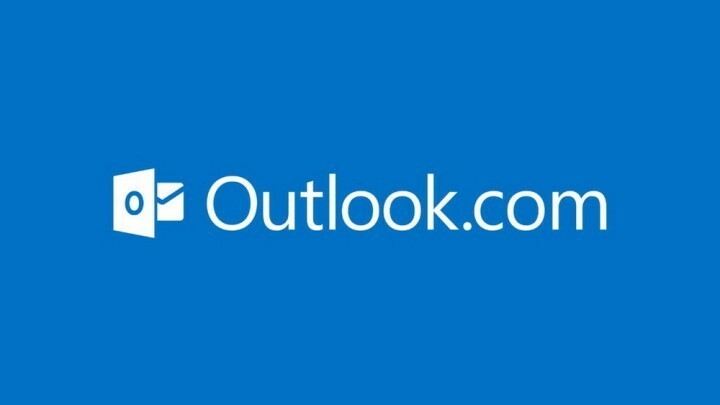 Outlook is one of the most popular email clients on Windows 10, and while some users use the latest version, some prefer the older one. Users reported that their messages are stuck in Outbox in Outlook 2007, so let’s see how to fix this problem. Message stuck in Outlook 2007 Outbox, how to fix it? Start Outlook and select Work Offline option. Selecting this option will prevent you from sending or receiving any emails. Go to the Outbox folder and delete the messages. Alternatively, you can move them to any other folder if you want to preserve them. Go to File menu and uncheck Work Offline option. If you moved emails from the Outbox folder to some other folder, you can try sending them again. After performing these steps problem with stuck emails should be fixed. Keep in mind that this is just a workaround, but it should fix any problems with stuck emails. Start Outlook and turn on Offline Mode. Move the problematic message to the Drafts folder so you can edit it. You can also move the message by right clicking it, selecting Move > Other Folder > Drafts. If you get an error saying that Outlook is already transmitting this message, you should wait for a couple of minutes and check if Outlook manages to send the email. After moving the email to the Drafts folder, you can edit your message, resize the attachment or remove it. 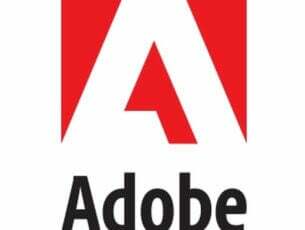 If you have problem with sending attachments, you might want to consider using a cloud storage such as Dropbox or OneDrive to upload your attachment and include the link in your email message. According to users, this problem can appear if you open a certain email message while it’s located in the Outbox folder. This message will be marked as read and it won’t be send. One cause for this problem are Outlook add-ons, but you can easily fix this problem by disabling or removing the installed add-ons. If you rely heavily on those add-ons, you can simply move the email message to the Drafts folder and try to send it again. HKEY_CURRENT_USER\Software\Microsoft\Office\Outlook\Addins key and change LoadBehavior to 0 to disable a certain add-on. Open Outlook and go to File > Info. Select Account Settings > Account Settings. Select your account and click the Change button. Enter the new password in the password field and click Next > Finish to save changes. Go to Tools > Account Settings >Email. Double click your account to open its properties and click More Settings button. Go to Outgoing server tab and check if your settings match the one recommended by your email provider. Make sure that Require Secure Password Authentication (SPA) option isn’t checked unless your mail server requires it. Head over to the Advanced tab and check if Outgoing Server port number is correct. Port 25 or 587 should be assigned to SMTP accounts. For SSL encrypted SMTP connections use TCP port 465. Assign POP accounts to port 110 and IMAP accounts to port 143. Gmail has special settings, and if you use Gmail POP with Outlook you need to set port 995 for POP3 and port 465 for SMTP. Also you need to check This server requires an encrypted connection (SSL) option. For Gmail IMAP account use port 993 for POP3 and port 587 for SMTP. Also be sure to turn on SSL option. For more details on how to configure Outlook, we suggest that you check your email provider for detailed instructions. Outlook comes with a useful feature called Offline Mode that allows you to view your emails offline, but you won’t be able to send emails if this feature is turned on, so make sure that you disable it. You can disable Offline Mode simply by going to the Send / Receive tab and clicking the Work Offline button. If Offline Mode isn’t turned on but you still have this problem, it’s possible that mail server has some issues. In that case you can only wait until the administrator fixes the problem. Start Outlook and go to Account Setting dialog. You should see all available email accounts. If none of the accounts has a little check mark next to its name, it means that there’s no default email account. To set a default email account, select the account that you want to use and click the Set as Default option from the menu. This problem can occur if another application is using Outlook data file, and in order to fix this problem, you need to start Task Manager and end all Outlook-related processes. To do that, simply press Ctrl + Shift + Esc to start Task Manager. When Task Manager opens, locate and close any processes that are related to Outlook. After you do that, check if the problem is resolved. Sometimes emails can get stuck in Outbox folder if Outlook data file is damaged. To fix this problem, you can use Inbox Repair Tool to repair the data file. Simply go to the Outlook installation directory and run the SCANPST.exe tool. 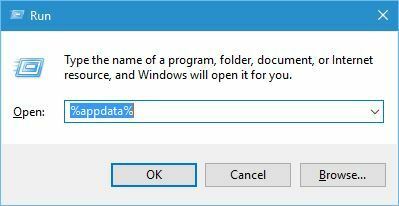 Select your data file, click the Start button and wait for the scan to repair your data file. If you’re still having issues on your PC or you simply want to avoid them for the future, we recommend you to download this tool (100% safe and tested by us) to fix various PC problems, such as missing or corrupted files, malware and hardware failure. Many antivirus tools have an option that scans all incoming or outgoing emails, and sometimes this option can interfere with Outlook. To fix this problem, you need to open your antivirus application and turn off email scanning option. If that doesn’t work, you might want to disable your antivirus software, or remove it and switch to a different antivirus program. 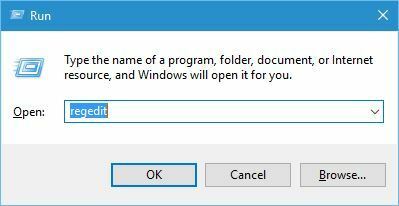 Press Windows Key + R. When Run dialog opens, enter %appdata% and press Enter or click OK.
Now you’ll need to locate Outlook directory and delete all files from it. It should be located in Microsoft folder. Sometimes these files can also be located in AppData > Local > Microsoft > Outlook folder, so be sure to check it out as well. After doing that, simply start Outlook again and it will recreate necessary files and the problem with stuck emails in Outbox should be fixed. Press Windows Key + X to open Win + X menu and choose Control Panel. Go to Mail and select Data Files > E-mail Accounts. Double click the Microsoft Exchange Server option. Locate Use Cached Exchange Mode option and uncheck it. Save changes and try to run Outlook again. Press and hold Ctrl on your keyboard and click the Outlook shortcut. Keep the Ctrl key pressed until you see dialog box asking you to start Outlook in Safe Mode. Choose Yes. Running Outlook in Safe Mode will disable all add-ons and reset Outlook to default settings, so you should be able to send your emails without any problems. Start Outlook and go to File > New > Outlook Data File. Now go to File > Data File Management and set the new pst data file as the default data file. After doing that, restart Outlook. When Outlook restarts, you should see your original pst file as the secondary set of mailbox folders. From there you can delete your old Outbox folder. Be sure to completely remove it by holding the Shift key and chosing the Delete option. Now set the original pst file as default and restart Outlook. Outbox folder will be created again and the issue should be resolved. Download MFCMAPI. If you use 64-bit version of Outlook, be sure to download 64-bit version of the tool. Once you download the tool, extract it and run mfcmapi.exe. Locate your Outlook email profile and click OK.
You should see several entries on the list. Double click the entry that has Default Store set to True. In the left pane, expand the first entry. This entry should be called Root – Mailbox or Root Container. Locate Outbox folder. It should be located in one of these folders: IPM_SUBTREE, Top of Outlook data file, Top of Personal Folders or Top of Information Store. Double click Outbox folder. You should see all messages that are stored in it. Select the problematic message and choose Actions > Submit > Abort submit. While the message is still selected choose Actions > Delete message. Set the Deletion style to Permanent delete passing DELETE_HARD_DELETE (unrecoverable) and click OK.
Repeat these steps for all messages that are stuck in your Outbox. After you’re done, close MFCMAPI and restart Outlook. According to users, this error appears if you select an email address from your contact list. According to users, this problem appears if you select an email address from the list of suggestions. To prevent this problem, users are suggesting to manually enter the email address to the To field while sending email. According to them, entering the address manually allows you to send emails, so be sure to try that out. Keep in mind that you’ll have to manually enter the email address every time you want to send an email. Start Outlook and go to Contacts. Right click Contacts in the navigation pane and select Create New Folder. Set the name of the folder to Backup. Select all your contacts and copy them to the Backup folder. Select all the contacts from the Backup folder and paste them back to the original Contacts Folder. After all your contacts are updated, the issue with stuck emails will be fixed. Press Windows Key + X and select Network Connections. 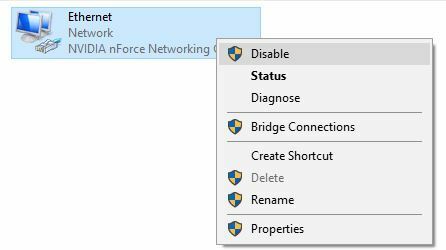 When Network Connections window opens, right click your network connection and choose Disable from the menu. After disabling your network connection, delete the messages from Outbox or move them to a different folder. Go to Network Connections, right click your connection and choose Enable. If you don’t want to use Network Connections, you can fix this problem simply by unplugging your Ethernet cable, moving or delete emails from Outbox folder and reconnecting the Ethernet cable again. Sometimes these problems can appear if you change your router’s firewall settings. To fix this problem, you need to change your firewall settings or reset your router. To reset your router check its instruction manual for detailed instructions. Users reported that Cisco routers have issues with Outlook 2007, and if you want to fix the problem with emails stuck in Outbox, open your router configuration and turn off Cisco Express Forwarding feature. After turning this feature off, the problem should be resolved. Navigate to Data Files Tab > Settings. Select Offline Folder File Settings and check the File location. Remember the file location because you’ll need it for the next step. Close Outlook and go to the File location that you got in the previous step. Locate .ost file and delete it. After deleting the file, start Outlook again and check if the problem is resolved. Few users reported that they fixed this problem by creating a new email profile by going to Control Panel > Mail. After doing that, locate the pst file of the new profile and rename it. Then copy the pst file from the old profile and the problem with stuck emails should be fixed. Users reported that this problem was caused by PGP 8.1, and according to them, you can easily fix this problem by removing PGP. After removing the PGP, the problem with emails stuck in Outbox will be resolved. To fix this problem sometimes you just need to click Send / Receive button. According to users, sometimes there can be a certain bug that prevents messages from sending, but you should be able to fix this problem simply by clicking the Send / Receive button. Few users reported that they fixed this problem simply by changing SMTP port from 25 to 26. Sometimes your ISP can block certain ports, but after changing the SMTP port to 26, the problem was fixed. For more information on how to change your ports, check the Solution 5. Some users are also suggesting to increase the Server Timeout to 7 minutes and 30 seconds, so you should try doing that as well. According to users, you can fix this problem easily by creating a new Outlook profile. If you want to keep all your autocomplete entries be sure to rename the NK2 file. After creating a new profile, the problem should be fixed. Go to the HKEY_CURRENT_USER\Software\Microsoft\Office\12.0\Outlook\Cached Mode key in the left pane. 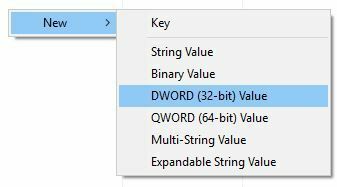 In the right pane, right click the empty space and choose New > DWORD (32-bit) Value and set SendOne as the name of that DWORD. Double click the SendOne DWORD and in the Value data field enter 0. Click OK to save changes and close Registry Editor. After making these changes, start Outlook again and check if this problem is resolved. Open Outlook and go to Tools > Options. Go to Mail Setup tab and check Send immediately when connected option. Few users reported that you can fix this problem by starting the Send / Receive process and canceling it. To do that, simply click the Send / Receive button. Send / Receive status should appear at the bottom of the screen. Click the arrow next to it and click on Cancel Send / Receive. By doing that, all messages from Outbox folder should be removed. When Services window opens, locate Microsoft Exchange Active Directory Topology service, right click it and choose Restart from the menu. After this service restarts, open Outlook and check if the problem is fixed. Few users reported that they fixed this issue simply by copying all emails from the problematic pst file to a new pst. After you do that, remove the old pst file along with the problematic Outbox and the problem should be fixed. Message stuck in Outlook 2007 Outbox can be a big problem and prevent you from sending emails, but as you can see, this problem can be easily resolved by using one of our solutions.